DUBAI, UAE - DECEMBER 16, 2015: Scenic Dubai downtown architecture at night. 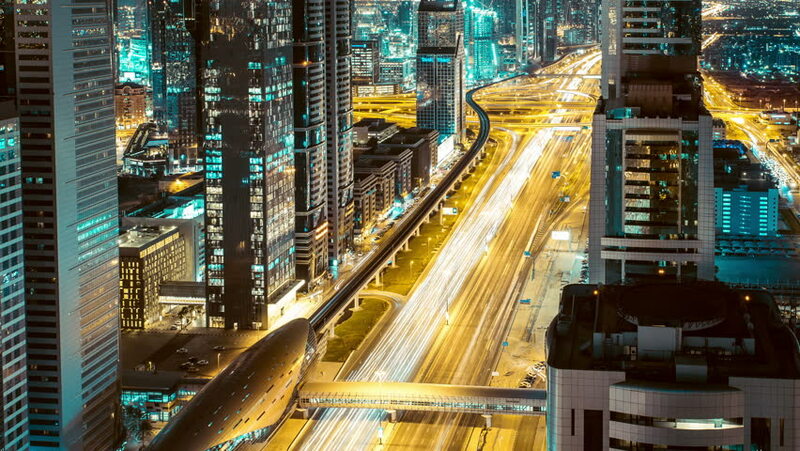 Aerial view of Sheikh Zayed road with fast moving traffic. Time-lapse. 4k00:13DUBAI, UAE - DECEMBER 16, 2015: Scenic Dubai downtown architecture at night. Aerial view of the Sheikh Zayed road with fast moving traffic. Time-lapse. hd00:15Night time lapse taken in Shinjuku Tokyo Japan looking west from a high vantage point. Camera zooms out as the clip progresses. 1080p HD clip. 4k version also available. hd00:08BANGKOK - MARCH 29: Timelapse view of Bangkok transportation system on Sukhumvit road on March 29, 2013 in Bangkok, Thailand. The BTS is an aerial transportation system.